ABC7 News is proud to partner with The Taylor Family Foundation which, for over 25 years, has been serving children with developmental disabilities, life-threatening and chronic illnesses such as brain tumors, autism, heart disease, diabetes, pediatric cancers, skin disease, asthma, burn survivors and pediatric HIV/AIDS. 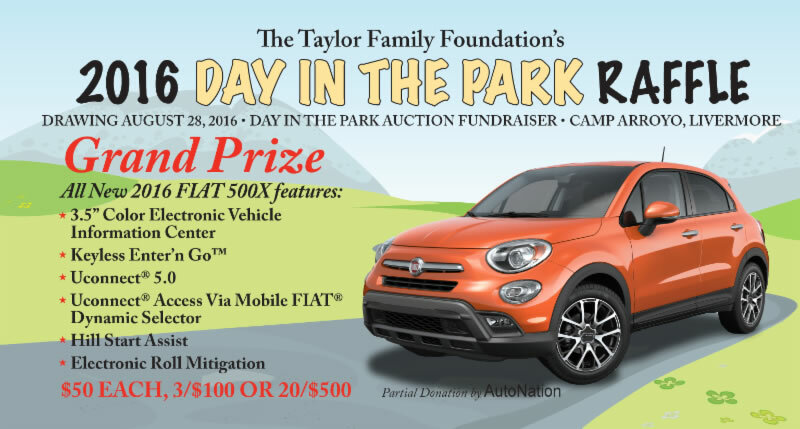 TTFF will celebrate its annual Day in the Park auction fundraiser scheduled for Sunday, August 28 from 12:00 p.m. to 5:30 p.m. at Camp Arroyo in Livermore. Raffle tickets are in! 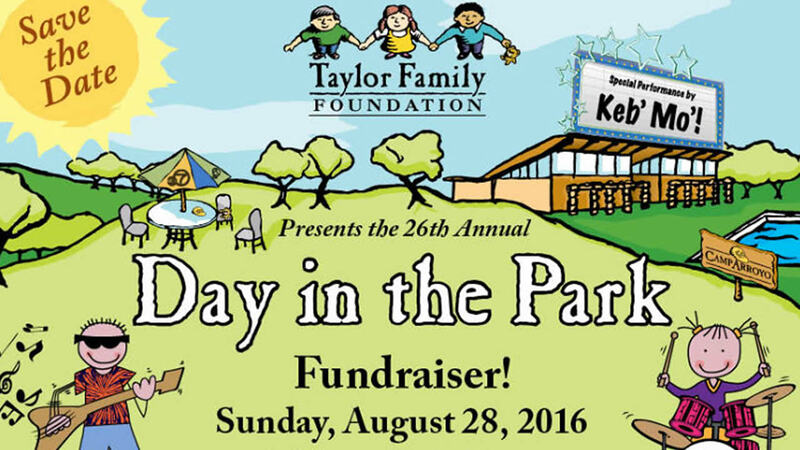 Help the Taylor Family Foundation reach their goal of $85,000 to send more kids to camp! Tickets are $50 each, 3/$100, or 20/$500. If you are interested in raffle tickets or becoming part of the event, call (925) 455-5118. Need not be present to win the raffle. Proceeds from Day in the Park help offer the gift of camp to more and more children each year as well as continuing to support TTFF's mission. With the support of caring and generous individuals, companies and businesses like yourselves, they are able to make a very real difference in the lives of these children. For 25 years, The Taylor Family Foundation has helped children and families facing chronic medical, developmental, and emotional challenges. Part of that journey has been beautiful Camp Arroyo, a safe haven for these kids to find comfort by being with others just like them. ABC7's Cheryl Jennings takes us through The Taylor Family Foundation's 25 years and introduces us to some courageous and inspiring people who are changing the lives of those in need. An aerial overview of the Camp Arroyo facility located in Livermore, California including these amenities: Dining Hall, Cabins, Swimming Pool, BBQ area, Arts & Craft Center, Sport Court, Climbing Wall, Campfire Circle, Amphitheater, Zip Line (by AirPixBot). 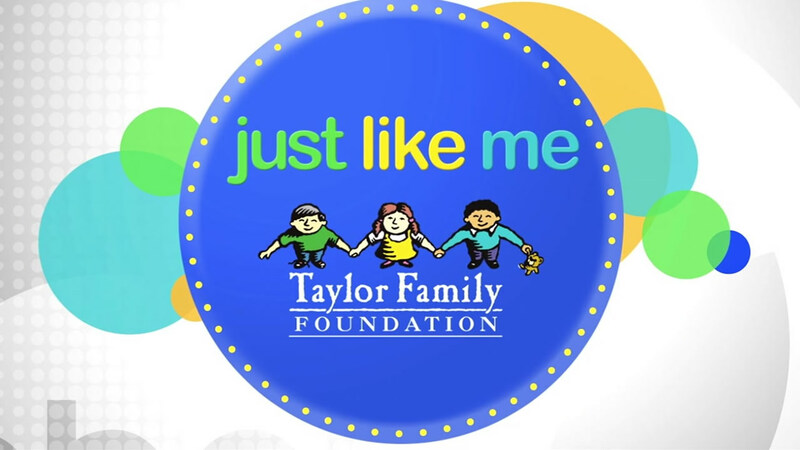 "Just Like Me: The Taylor Family Foundation" premiered on ABC7 Sunday, August 23, 2015 at 6:30 p.m. It also aired Sunday, September 6, 2015 at 4:30 p.m. In case you miss the program on-air, you can also watch it online here!